At EventAid, we know that people come to your events for a reason. Whether it be to enjoy themselves, compete or participate we want your patrons to have a safe and enjoyable experience. Our teams have a subtle presence and work hard to blend into the background to ensure the focus stays on your event and that we are there when needed. 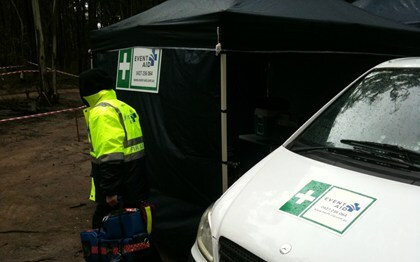 Our staff are experienced event first aiders and our team includes professionals who have been involved in the management and delivery of first aid, event operations and emergency management at all of Victoria's major events. Our approach to first aid services is risk based and client focussed. This means that you can rely on us to provide professional advice on event first aid and planning. We also know that you know your event best and we will work with you to achieve optimal first aid coverage, taking into account your knowledge and experience. We can provide basic first aiders right up to doctors and nurses and for most events we recommend the first responder level that includes advanced first aid, asthma management, oxygen and defibrillation qualifications. All of our services are fully insured for public liability and professional indemnity and our uniformed staff are easily recognisable. At the conclusion of the event we know there is information you will need and we will work with you to provide a comprehensive report that suits your needs within 24 hours of the event. 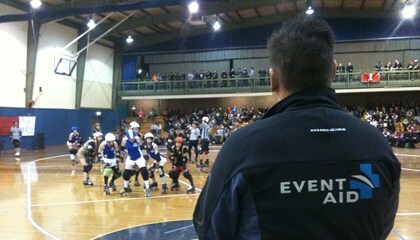 The EventAid team proudly deliver first aid services to Craft Markets at Flemington, Werribee and Hanging Rock!